The cataract particles will be gently suctioned away. 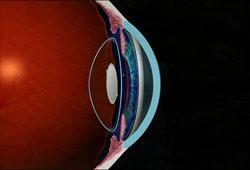 Then, a folded intra-ocular lens (IOL) will be inserted through the micro-incision, then unfolded and locked into permanent position. The small incision is “self-sealing” and usually requires no stitches. It remains tightly closed by the natural outward pressure within the eye. This type of incision heals fast and provides a much more comfortable recuperation.A very small incision will be made and a tiny ultrasonic probe will be used to break up the cataract into microscopic particles using high-energy sound waves. This is called phacoemulsification. Realistic expectations:You will go home soon after the surgery and relax for the rest of the day. Everyone heals somewhat differently, but many patients report improvement in their vision almost immediately after the procedure. Most patients return to their normal activities within a day or two. Once removed, cataracts will not grow back. 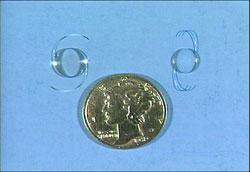 But some patients may experience clouding of a thin tissue, called the capsular bag, that holds the intra-ocular lens. In most cases, a laser is used to painlessly open the clouded capsule and restore clear vision with a procedure called aYAG capsulotomy. You may also choose to request an appointment or request additional information to learn more about this exciting procedure.